Last Friday, I had the privilege of presenting at University of Miami’s music therapy forum. I have presented there a few times, and this time the topic was Private Practice and Social Media: The Business of Music Therapy. Every time I present it is exciting and also….very surreal! I remember not-so-long ago I was the student sitting in the audience, wide-eyed and taking in as much as I could from the presenters. 1. Save everything related to music therapy. Save everything related to music therapy. SAVE EVERYTHING related to music therapy! Do I need to say it again? 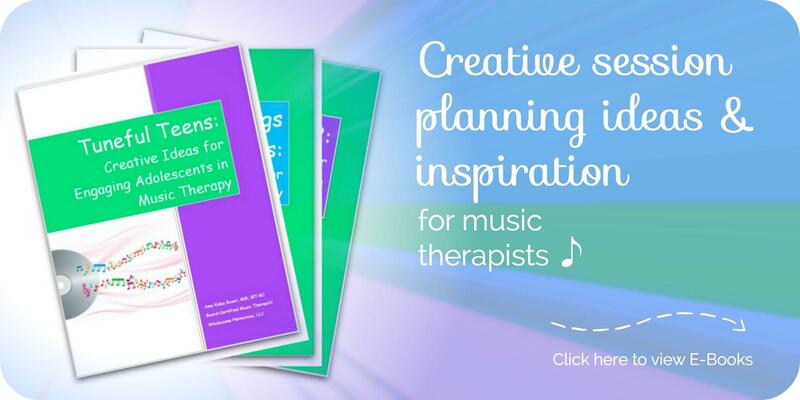 Save all your class notes, music therapy books, practicum session plans, and practicum music! Case in point: for some unknown reason I threw out my Intro to Music Therapy binder (including class notes, quizzes, tests, and assignments). Little did I know that 8 years later I would be teaching that class as part of my TA requirements. Oops. 3. Examine your focus For me, one of the biggest differences between being an undergraduate student and a graduate student was my area of focus. As an undergrad I was very grade-focused. I would study/practice/research to get an A at all costs. However, as a grad student I became more profession-focused. I studied/practiced/researched to become a better therapist for my clients. So if you are a student, I would encourage you to think about…what is your focus on? 4. Develop your musical skills! I am SO lucky that I have a wonderful group of Miami Music Therapists. We get together to jam and perform at Open Mic Night pretty regularly. Not only is jamming fun, but we have the opportunity to learn new repertoire and practice harmonizing; we can practice arranging song material; and it encouarges us to play our non-primary (or maybe non-preferred!) instrument. I believe when we were are better musicians, we become better therapists. So get out your guitar (learn some groovy new guitar strums here), dust off your ukelele, or start tickling the ivories! I hope some of these tips and suggestions have been helpful! MTs out there…what have I left out? What things do you wish YOU had known when you were a student? 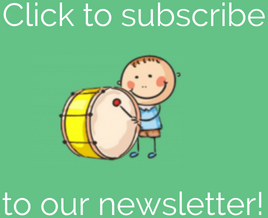 For more tips and ideas for student music therapists, check out Kimberly Sena Moore’s blog post on the topic!